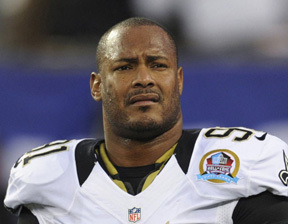 Former New Orleans Saints star Will Smith had a loaded gun inside his vehicle on the night he was shot, but there was no evidence that it had been fired, police said Tuesday. Police also said Tuesday that they found a loaded revolver inside Hayes' vehicle. But authorities said there was no evidence to suggest either weapon was fired during the Saturday shooting and said that Smith’s gun was fully loaded when found during a search of the vehicles Tuesday morning.